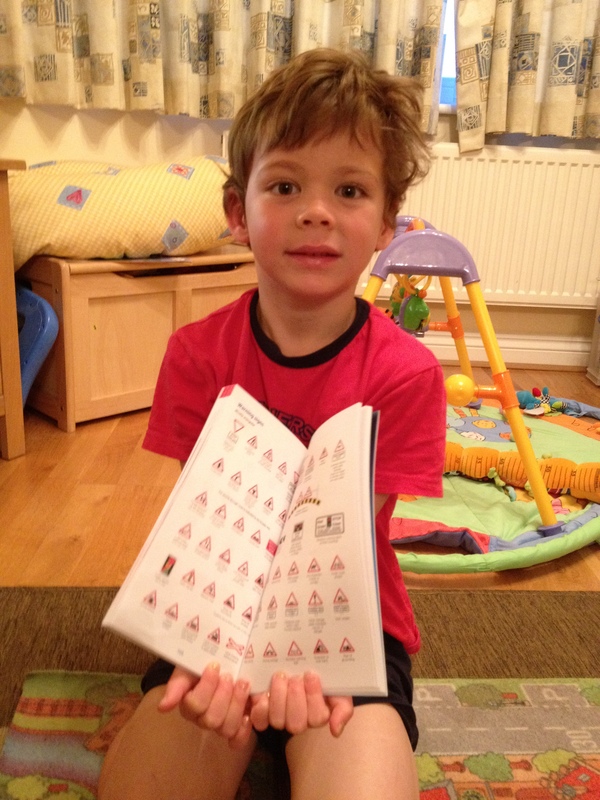 Forgive me while I indulge in a spot of proud-parentitis, but yesterday was one of those big milestones in the life of Isaac (4 years 9 months) which left me – and him – beaming from ear to ear. Our oldest child is now a fully fledged bike rider, and it is surely only a matter of time before he is winning gold medals in the velodrome or out on the road in Great Britain colours. From there his learning curve was rapid, and it wasn’t long before he was hurtling around at top speed – usefully, we’re at the top of a fairly steep slope – practising his skidding and building his confidence. It has become part of our regular weekend routine that he and I will head into town to give him a proper run-out and stop for a coffee en route. And for the last several months he has been honing his skills at a local BMX track. Over the summer several of his friends have graduated to proper bikes and we quickly bypassed stabilisers and had him trying out his Lightning McQueen bike at the park, without any real success. The balance was there, but the co-ordination with pedalling and the confidence were not. It won’t be long until he’s popping wheelies, hopping over kerbs and nursing his first broken collarbone. No doubt he’ll have a go at the BMX track later this week, which may well lead to a trip to buy elbow and shin pads. Daddy, can I test you on your road signs now, please? I’m delighted both that he’s so pleased about his latest achievement and that our geeky, techie engineer of a son is so keen to burn off energy outdoors on his bike. A whole new world of opportunity is opening up for him. Who knows where it may one day take him? Personally I think he’d look quite fetching in a yellow jersey but given his historical preferences he might just prefer the distinctive pink of the Giro d’Italia’s leader’s jersey. It’s going to be fun watching where he goes with this. On your bike, son. Posted in A dad's life and tagged cycling, fatherhood, parenthood, Parenting. Bookmark the permalink. 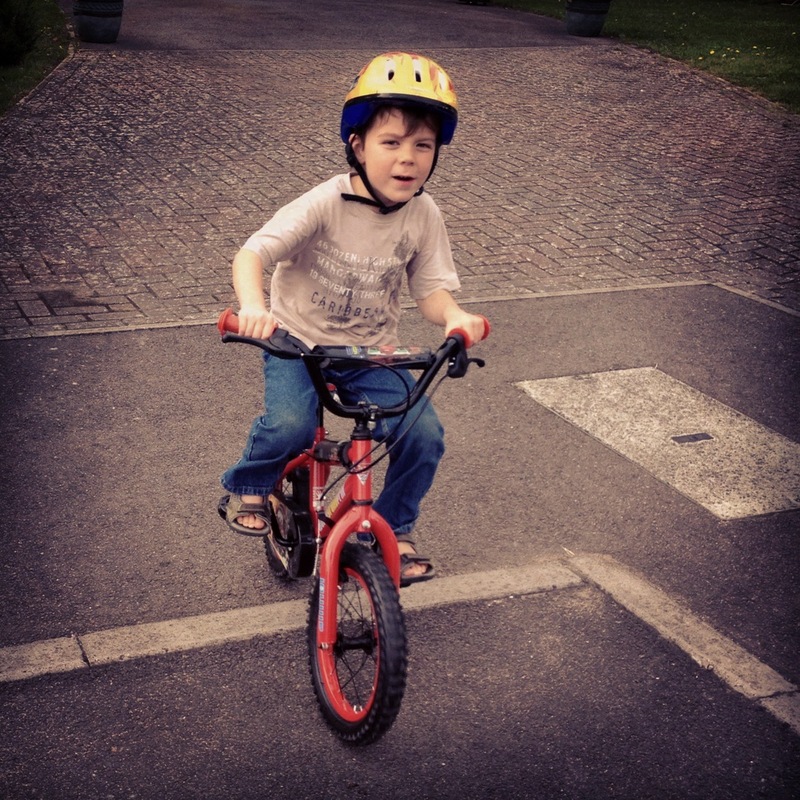 I was a big failure in the parenting department when it came to my son and bikes – I let him get to 9 years old without learning to ride a bike! When he was little he had a bike with stabilisers which he outgrew before we ever took the stabilisers off, and I just never got around to getting him another one. (My daughter, 3 years older, had taught herself several years earlier with a neighbour’s bike). It suddenly hit me the Christmas before last about how terrible it was that I had allowed him to reach 9 years old without teaching him that basic skill and so I bought him a bike. He’s taller than average for his age, so the size of bike I bought him was obviously bigger than the usual size that kids learn on, so we were quite a sight down at the local park with me holding the saddle of this big kid on a big bike running along, and the big crashes that came with it. Kudos to him though, he refused to give up (despite having to put up with other kids watching and laughing at his inability to ride), and he grasped it very quickly, and then there was no stopping him, he loved it. We’re lucky because about 10 minutes drive away from us we have a fantastic place to ride, it’s a nature reserve and it has a really good tarmac cycle track where proper competition cycle races are held, but it also has off-road parts through woodland etc. You can bring your own bike, or hire them there. I hadn’t ridden myself for about 20 years, which explains why it hadn’t really been in my mind to get him riding, but I love it now too – we don’t go there very often, but when we do we always wonder why we don’t go more often! Thanks Vanessa. We’re lucky that there’s a large T-shaped space at the top of our cul-de-sac which is big enough for the kids to have some fun riding around together without worrying about traffic – it was a huge selling point for us when we bought our house. 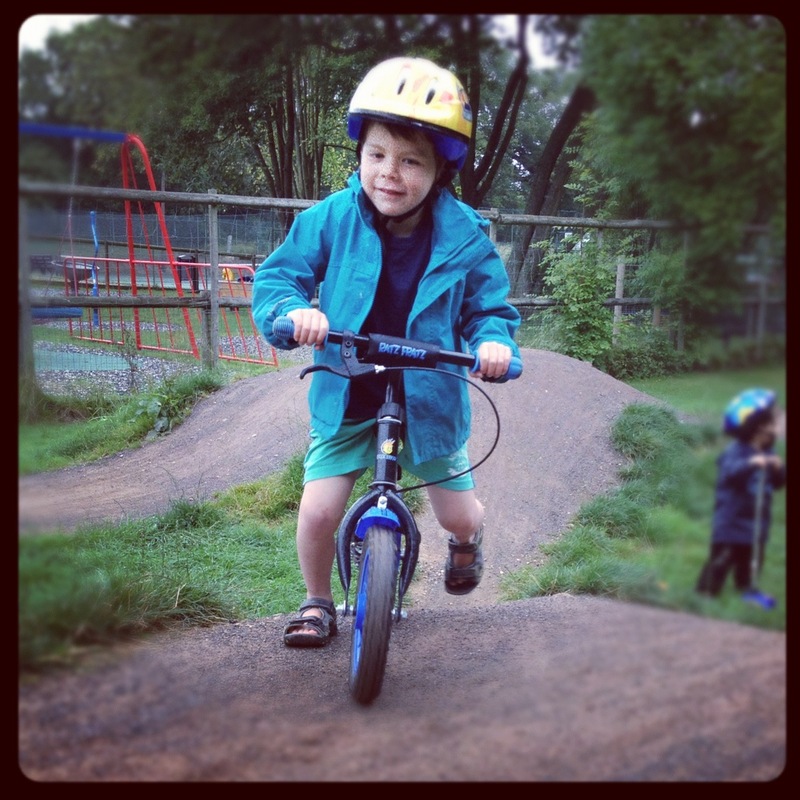 We’ve also got a couple of woodland places 10-15 minutes’ drive away which will be perfect for when he wants to go out on longer rides – sooner rather than later, I suspect – plus of course the local BMX track which is barely 5 minutes away in the car.